You’re at the jobsite and you notice something isn’t quite right. You need answers and fast resolutions. Don’t waste time writing a detailed description to your team, you have photo documentation, so just show them with. With SKYSITE, construction photo management is a breeze. Not only can you take and upload a photo inside the app, you can make search and navigation easy with tags and links. Pin a photo right to a document and show your team exactly where they need to focus. No learning curve, intuitive photo management with tagging. 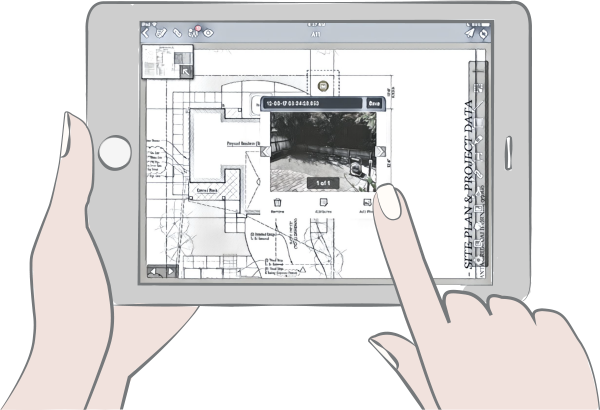 Link your construction photos to drawings, RFIs, and Punch Lists. Show and Tell isn’t just for school. Manage photos like a pro. Get SKYSITE today!